Wholesale Handbags #WJ-48 The British flag patterns this finely woven, lightweight wool scarf in ivory, turquoise & red colors with twisted fringe at the ends of the scarf. Imported from India. Dry clean only. 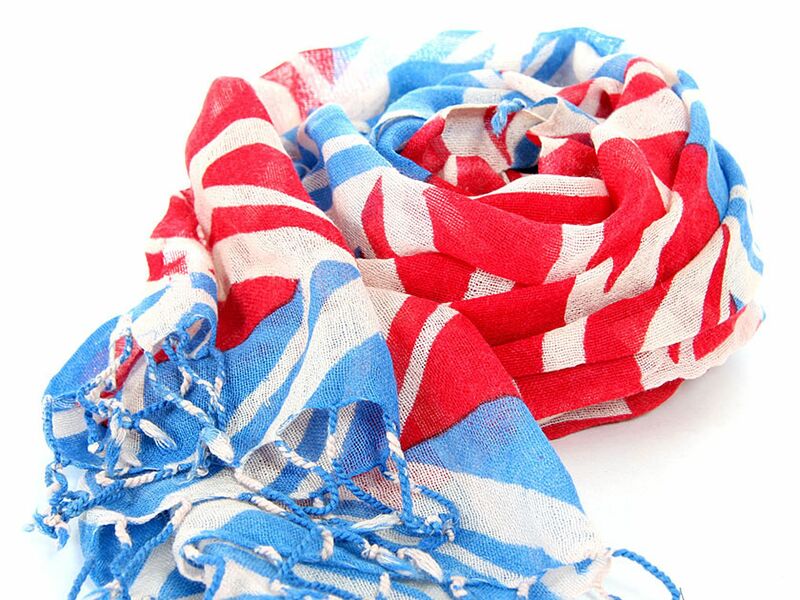 The British flag patterns this finely woven, lightweight wool scarf in ivory, turquoise & red colors with twisted fringe at the ends of the scarf. Imported from India. Dry clean only.